When you add one of our walk in tubs to your home in Decatur, Georgia, you’re making bathing safer for the entire family. Slips and falls are very common in bathrooms, but a walk in bathtub can reduce the chance of these accidents occurring. The foremost safety feature of our tubs is their low entrance barriers that are only a couple of inches high; this makes getting into the bath much easier because all you’ll have to do is step across the threshold. The tub is secured with a locking, leak-proof door, and there is a built-in seat positioned at the ideal height for comfort. Additionally, our tubs have slip-resistant surfaces, grab bars, side grips, and easy-to-reach controls. 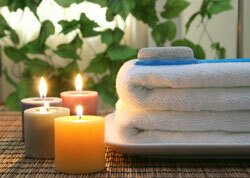 Aromatherapy bathtub – Fills the air with calming aromas by dropping scented beads into the warm bath water. Hydrotherapy bathtub – Massages your body with underwater air jets. Chromatherapy bathtub – Creates a relaxing, pleasant bathing environment with color-changing, underwater lighting. Therapy tubs can lower stress and anxiety or even temporarily soothe painful joints, muscles, and nerves. Customers with a wide variety of health conditions, such as arthritis, sciatica, or heart disease, have found comfort from their new walk in bathtubs. For further information about adding one of our walk in tubs to your home in Decatur, GA, please contact us today. Our knowledgeable staff will be happy to answer your questions and provide you with a free estimate.